College. July is going, and she can’t quite believe it yet. What’s more, she’s bringing Kali, who is on the verge of figuring out this dressage horse thing. With so many of her dreams coming true all at once, July is determined to have it all--juggling school, Kali, and the racehorses she loves. She’s even planning on having a life outside of the track, including plenty of invitations to Beck Delaney’s dorm room in Manhattan. 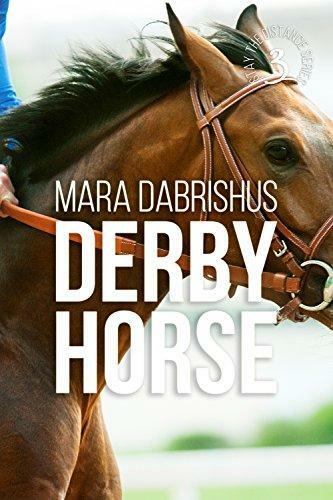 But as the road to the Kentucky Derby heats up, and Kali’s transition to school life gets off to a rocky start, July’s juggling act quickly becomes a circus. When Lighter upends all their careful planning, July isn’t sure she can add one more thing to her busy schedule. July is running out of time, for Lighter, Kali, and herself.